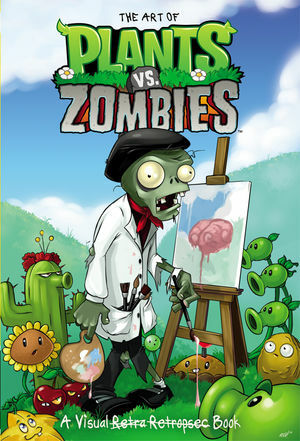 Plants vs. Zombies is a beloved series for many gamers, including myself. PopCap Games created the tower defense game Plants vs. Zombies in 2009, and since then there has been a sequel, a Facebook game, a FPS, and lots of merchandise. This book is told from the point of view of the zombies (spelling mistakes and all!) and is absolutely wonderful for any fan. The detriment to this is that I really wished that we could have gotten commentary from the artists as to their craft instead of (or even in addition to) the commentary from the zombies. You get to see artwork from the four PvZ games, plus pictures of cosplay and artwork from PvZ in China, which is pretty awesome. I also wish the book had been a little longer! Get it on Dark Horse, Amazon, Barnes & Noble, or your local bookstore. The retail price is $9.99. The book is full color and 88 pages.